The Tata Nexon Kraz Edition marks the first anniversary of the subcompact SUV and comes with visual highlights and additional features on the mid variants. Celebrating its first anniversary, Tata Motors has introduced the Nexon Kraz Limited Edition in India. The Tata Nexon Kraz Edition is priced from ₹ 7.14 lakh for the petrol version, while the diesel range starts at ₹ 8.07 lakh (all prices, ex-showroom Delhi). The limited edition model adds visual highlights to the Nexon, along with additional features as well. Sales for the Nexon Kraz edition commence from today and the model will be available in two variants - Kraz and Kraz+. The Nexon has turned out to be a game changer for the automaker in the segment, and is Tata's second most-selling model averaging about 4000 units every month. 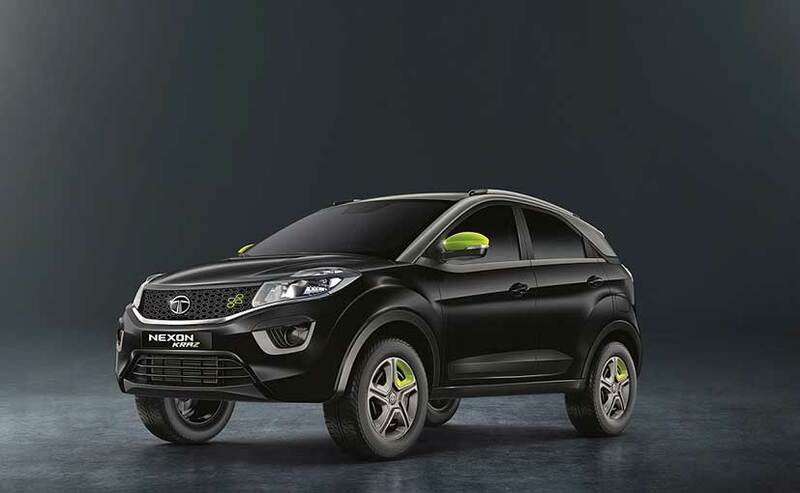 The Tata Nexon Kraz comes with 10 styling highlights over the standard version including the all-new TROMSO black paint scheme with a contrast finish sonic-silver dual-tone roof. The neon-green paint scheme extends to the ORVMs, front grille inserts, and wheel covers. There's also 'Kraz' badging on the tailgate of the SUV. 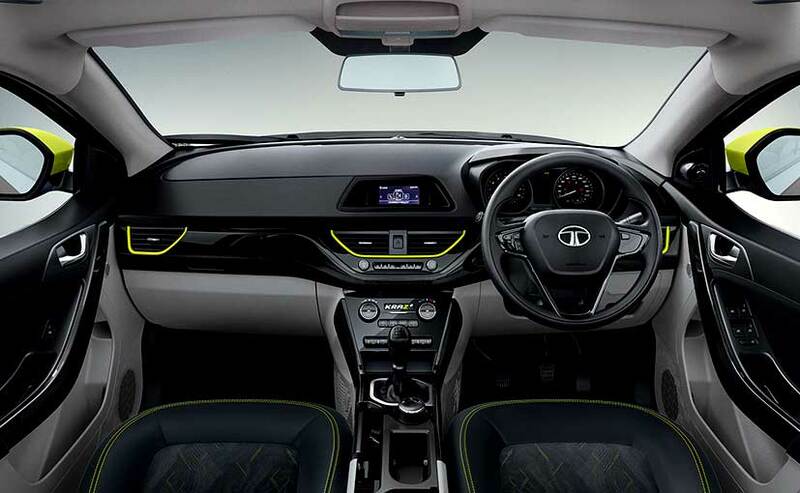 Inside, the cabin also gets the neo-green treatment with air-vent surrounds, neo-green seat stitching with Kraz pattern for seat cushions and central control badging. It also comes with piano black finish on the dashboard, piano black door, console finishers and steering accents. Commenting at the launch, Tata Motors - President - PVBU - Mayank Pareek said, "We want to celebrate the first Anniversary of our brand Nexon with our customers and what better way than offering them a special striking version- the Nexon KRAZ. To attract customers with active and sporty lifestyle, the Nexon KRAZ has been designed to set a new trend in the segment. Since launch, the Nexon has received a very good response and today is among the top five selling compact SUVs. We would like to thank all our customers for their trust in the brand and we will continue to bring exciting products in the market." Power on the Tata Nexon Kraz comes from the same 1.2-litre Revotron petrol and 1.5-litre Revotorq diesel engines, both of which are tuned for 108 bhp. The engines are paired with a 6-speed manual transmission, and the model comes with multi-drive modes - Eco, City and Sport. The subcompact SUV was also awarded a 4-star rating by the Global NCAP crash tests.